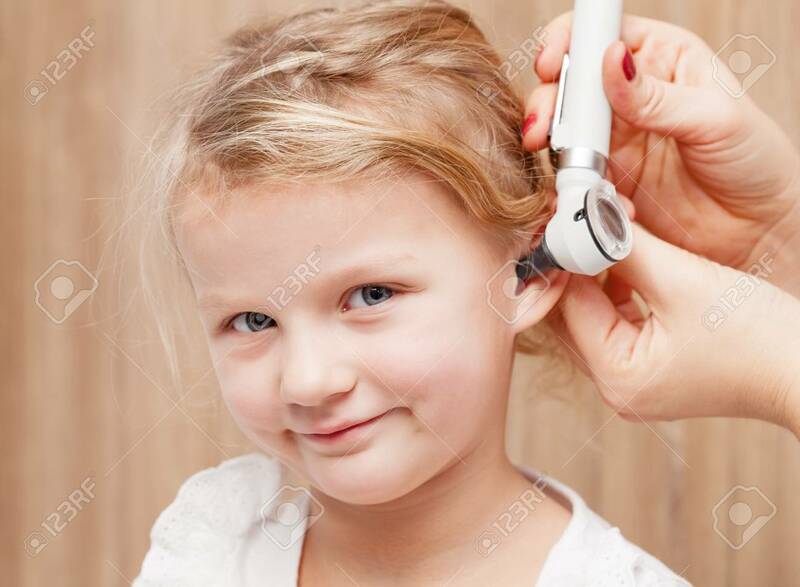 Female Pediatrician Examines Little Girl's Ear. Doctor Using A Otoscope Or Auriscope To Check Ear Canal And Eardrum Membrane. Child ENT Check Concept Lizenzfreie Fotos, Bilder Und Stock Fotografie. Image 113610848.